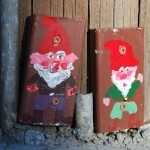 Gnomes are often depicted as jovial little men wearing red hats and a wide belt. The iconic red gnome cap is a folklore detail that originates from ancient Mediterranean fisherman tradition. The fisherman would wear white hats at night if they wanted to be seen in the dark, and red hats if they did not. 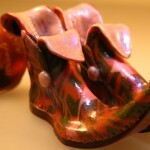 According to folklore, gnomes prefer to stay hidden, so they opt for the latter color. 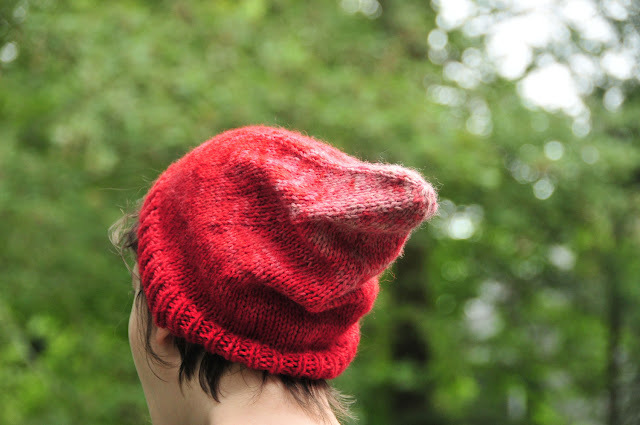 Today we present some artisan variations on the classic red cap, in a variety of medium, shapes and sizes. 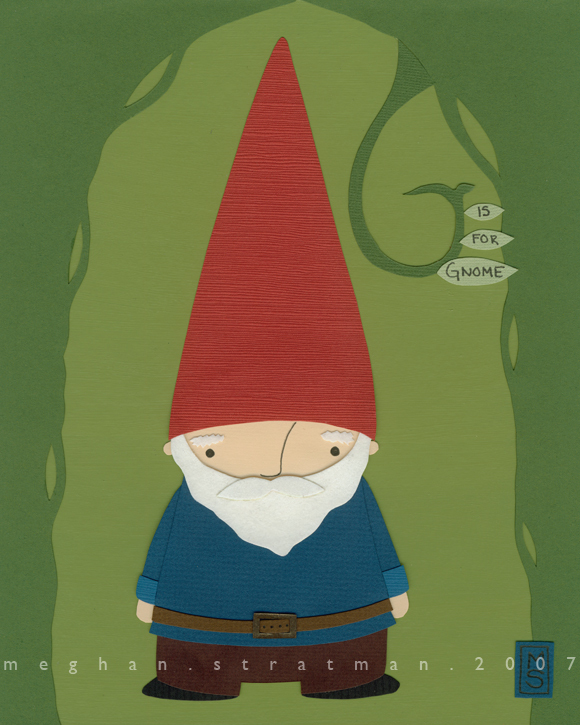 Working with cut paper, Meghan Stratman‘s collage G is for Gnome (above) sports a red hat taller than the gnome is tall. 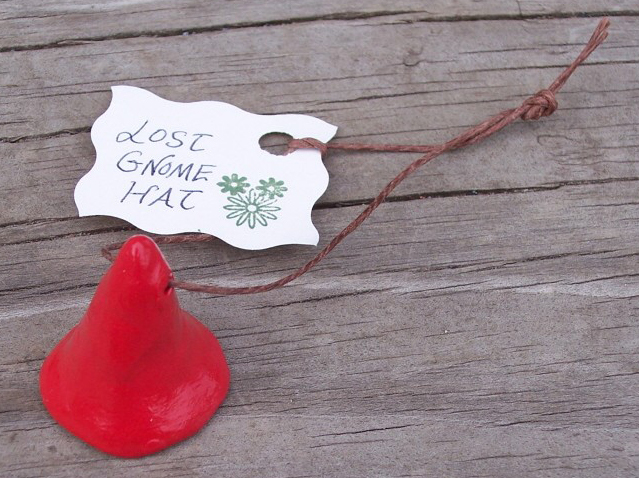 Bohoi Kim‘s Lost Gnome Hat (above) is made of clay, just 1.25″ high, and —charmingly— comes with a lost boot. 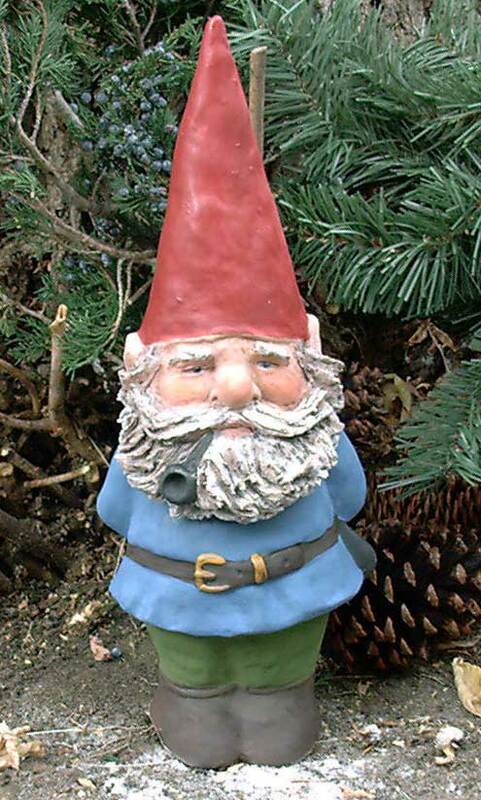 At 14″, neither Bohoi Kim’s missing hat (nor boot) would fit Candice Kimmel’s Bearded Willard (right), a handcrafted gnome of the traditional garden variety. It’s no surprise gnomes look comfortable in the garden, folklore labels these peaceful, helpful creatures as regularly building complex underground homes, usually in the base of trees, with escape tunnels. 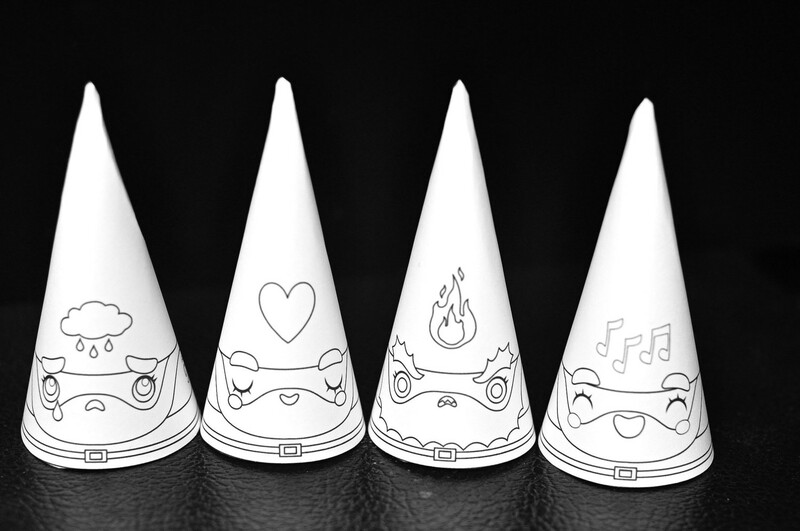 Cutesypoo has created a paint-your-own variety of gnome hats (below) made of paper. 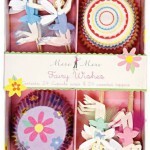 At 4″ tall, and coming in four emotions: love, angry, cheery, and sad, these are a great project for kids of any age stuck indoors. The pressing question: will you stick with the traditional red, or dare to bring new colors to your Gnome’s wardrobe? 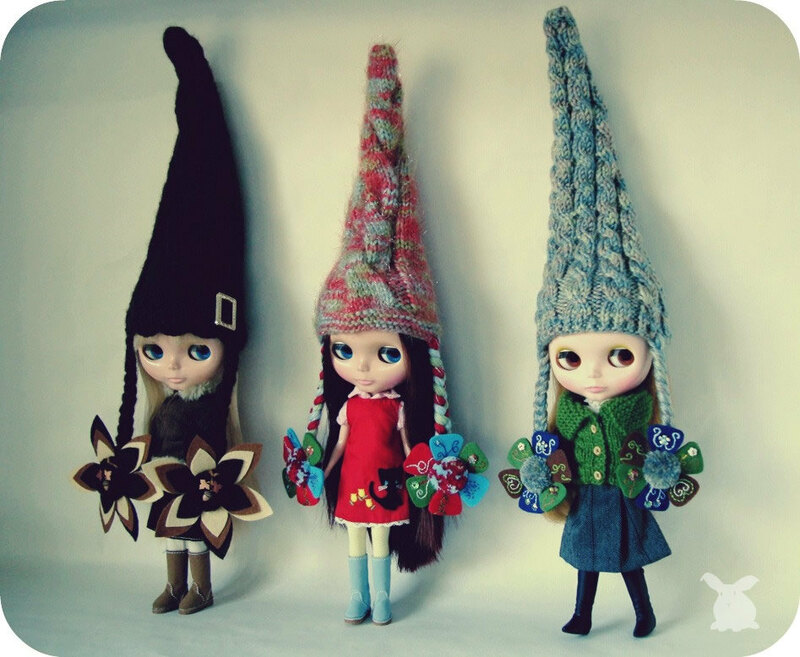 Special Gnome Hats by Neuart (below) brings us a completely darling rendition of gnome fashion for the beloved and collectable Blythe doll. 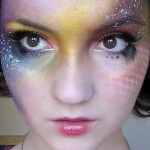 These are knit by hand in a variety of colors. 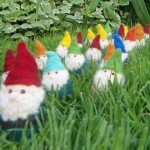 Although modern Garden Gnomes were created in Poland, Gnome mythology first appeared in Scandinavian stories. In Alchemist tradition Gnomes are mascots of earth/prime matter and symbols of worldly possibilities, no wonder they’re always so jovial! The gnomes we love the best? 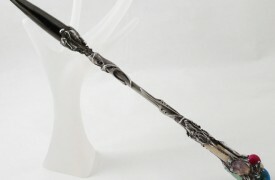 The ones here in our hometown, of course! 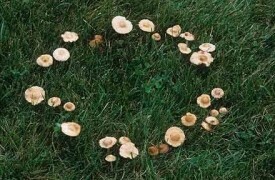 Where Do Fairy Rings Come From? 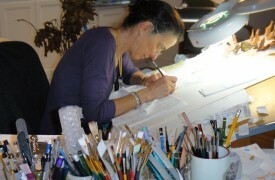 FairyRoom is thrilled to welcome Elizabeth Malczynski, fantasy artist and illustrator, probably best known for the iconic first paperback cover of Anne McCaffrey's DragonSong (Bantam, 1976), the original full painting of which appears below. 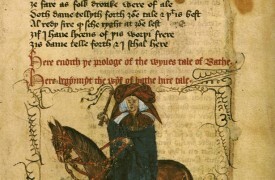 Chaucer's Wife of Bath, Alisoun (Alyson, Alys) is one of the most well-known characters in The Canterbury Tales, and her tale, one of the most studied. One of the themes of Wife's tale — a man desperately seeking knowledge of what women really want — likely plays heavily into its popularity.